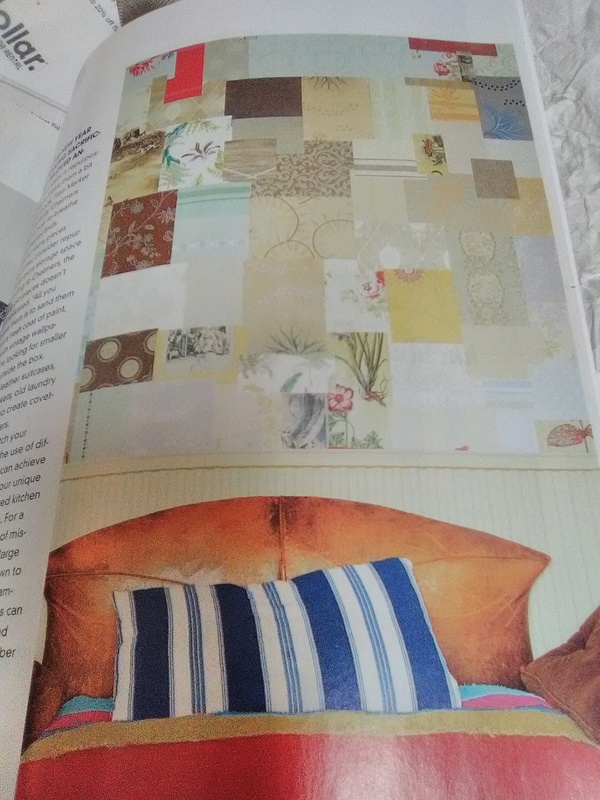 The second photo shows a mosaic composed of scraps of vintage wallpaper cut into blocks and appliquéd onto a wall behind a sofa. 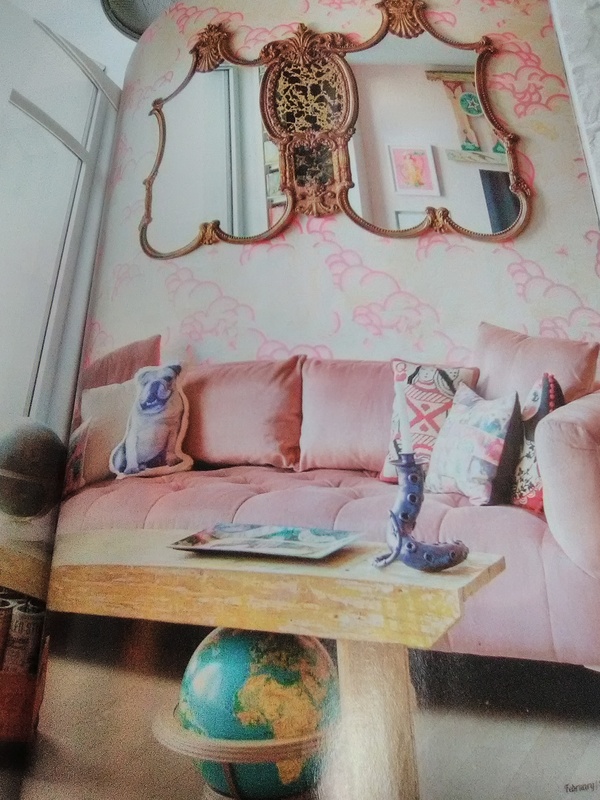 I’m betting this homeowner didn’t have full rolls of wallpaper, but stumbled upon an old sample book, and simply cut her pieces from its pages. What a wonderful way to get a lot of color and retro-style! Best Christmas Gift – The Gift of Wallpaper! I just got a call from a man wanting wallpaper scraps. His idea was to wrap up some pattern samples and give them to his wife, as a teaser for his real gift – a bathroom redo.